September 7, 2018 This post may contain affiliate links. 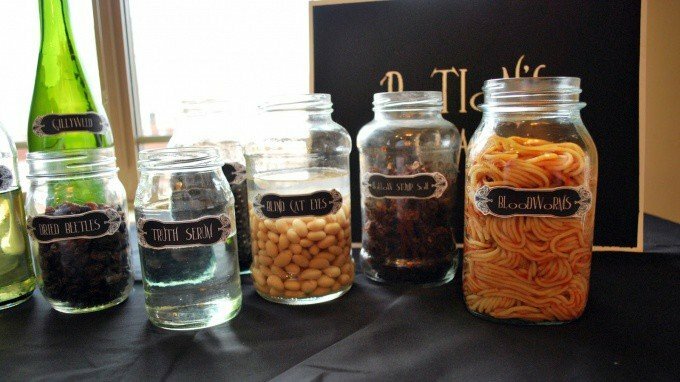 This Epic Harry Potter Step by Step Party Plan has everything you will need to host the most memorable and magical Harry Potter Party for your Hogwarts loving child. 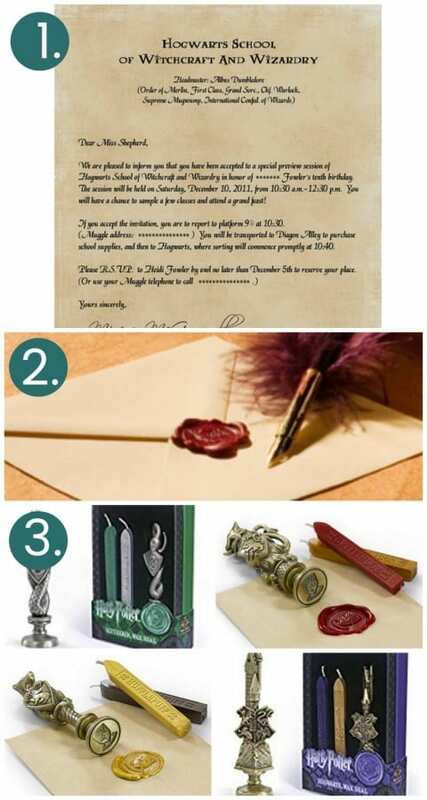 It includes 36 Harry Potter Inspired Party ideas starting with how to send out the invitations all the way through to the best party favor to hand out at the end. 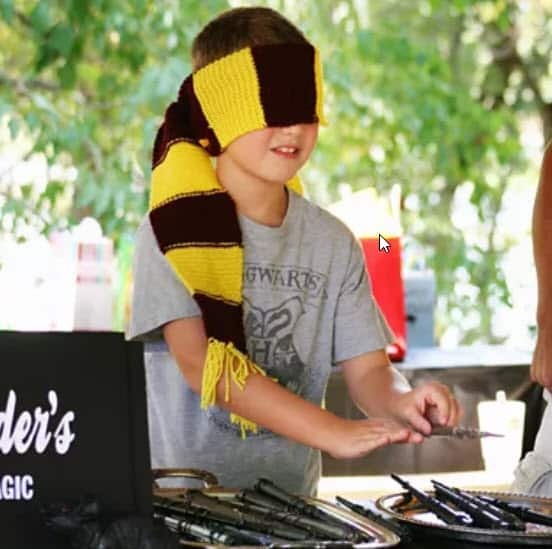 So, your child wants a Hogwarts Birthday Themed Birthday Party? Agh! Bet you’re thinking that’s going to need more money, time, energy and way more creativity than you have right now? Yup. I know the feeling. I love birthday parties, but planning and thinking about planning them totally drains the energy out of me. Thankfully I don’t have to think too hard! There are six basic steps to planning any kids birthday party. I have been through this process dozens of times since my kids were born and it always comes down to these six things. To make this process of party planning stress free, you can get my FREE Party Planner Binder here . It has everything you need to get started with your party planning! 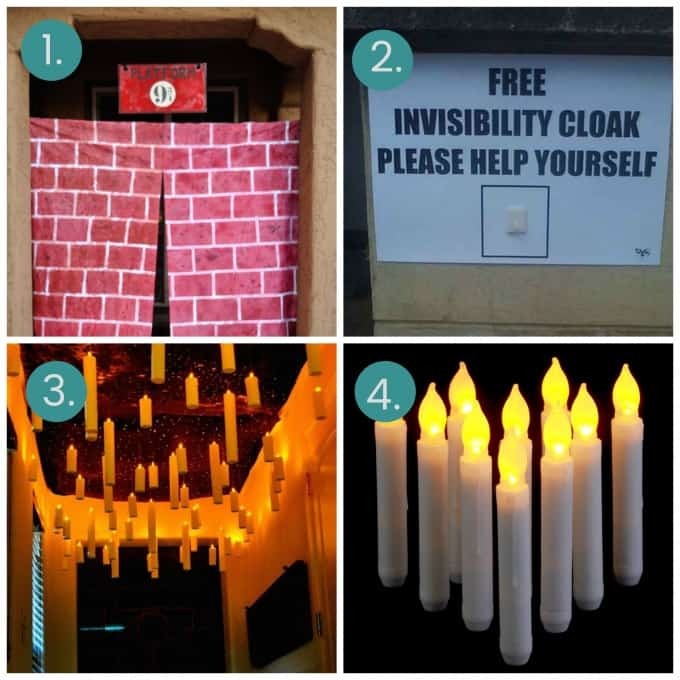 Here are 36 of the best Harry Potter Birthday Party Ideas that have already been tried and tested by other moms and dads, all rolled up into a neat and easy to use step by step party walk through. Are you Ready? Get out your notebook and let’s get our Wizard on! Make a list of all the kids you plan on inviting and set about designing an invitation that will get them excited for the event. 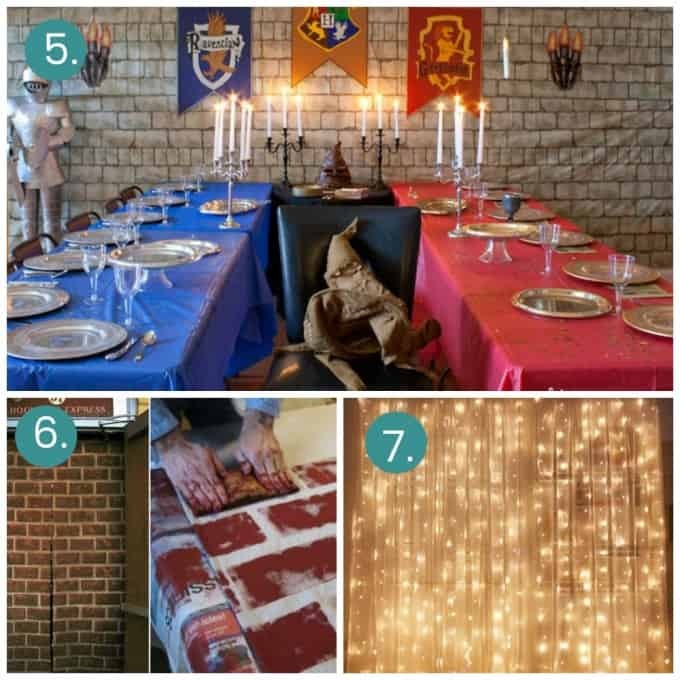 Here are 8 gorgeous Potter inspired Birthday Invite Ideas to set the scene for your Harry Potter themed party. Official Acceptance to Hogwarts Letter. You can get the tutorial on how to make the invite (and the words to use) here. and the old looking parchment paper and envelopes here. Seal your hand written envelope using a wax seal. The Hogwarts wax seal can be bought from Amazon) It’s available in all four of the Hogwarts Houses or as a generic Hogwarts seal. Gryffendor seal which tends to be the favorite in our house. Not really feeling the DIY thing? 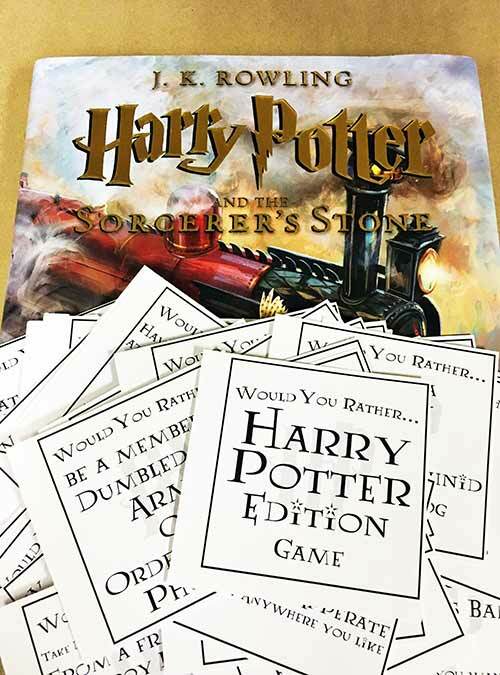 Then to get things moving along, you can get your hands on these ready made Harry Potter Party Invitations. These are the three which I think capture the magic quite nicely. Finally …. 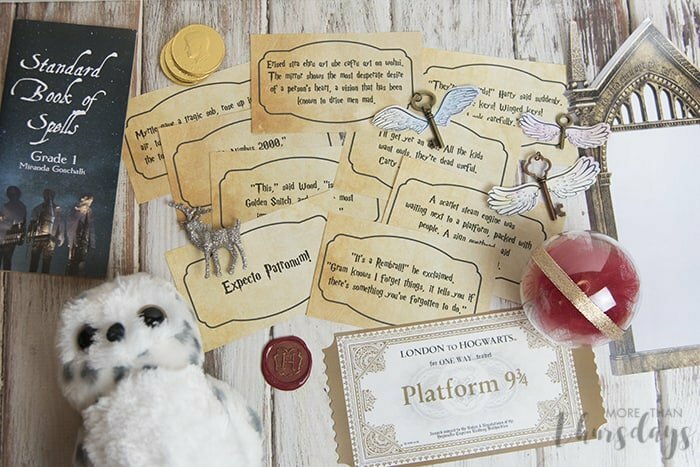 If you are delivering your invites by hand, then send them with their very own Hogwarts Owl Messenger. One of the things we always work into our party budget is a DIY helium balloon kit. One kit is enough for 50 balloons. You only need enough to lift the balloon off the ground (you don’t want the invites to go flying off into space). 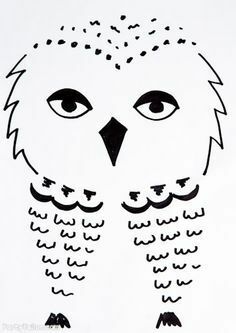 8.The Done for you Owl. If your artistic skill aren’t anything to shout home about, then consider getting these printed owl balloons. 9. The Deluxe Owl. I know. these may be a bit much but Oh my Word! Imagine a little kid opening the door to find this. Worth considering if you have a small guest list. 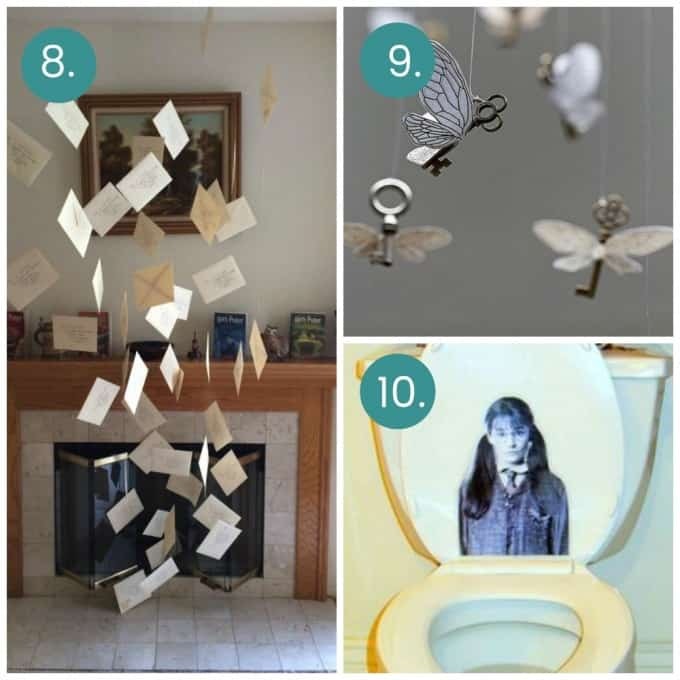 Decorating your home to look like a scene from the Harry Potter Movie doesn’t have to be expensive. 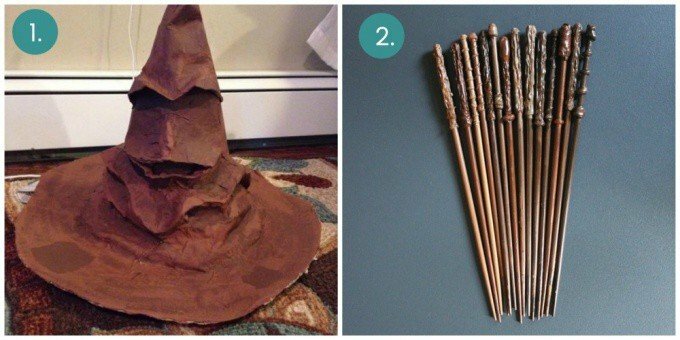 A few cleverly placed, well designed party decor items will transform your home into Hogwarts without blowing the budget. Great Hall Floating Candles. Hang some floating candles from the ceiling. You can get these here (pack of 12) from Amazon. 6. DIY a Brick Wall with a sponge, a little red paint and an old sheet. Learn more here. 7. Keep the Magic Contained. These window curtain string lights can add a little magic to your party space and hide the non-magical parts of the house too. Saves having to decorate the entire house by creating a ‘party space’ partition. Oh yes. Here are a few ideas on how to reuse them after the party. 9. Flying Keys. Might be a good idea to tie these in with the scavenger hunt later on in the party. Make sure that you get one that fits the ‘treasure box’. Before we settle down to party …..
We have two very special Hogwarts housekeeping tasks to get underway before the party can get officially started. Choose your wand. Olivanders Wand Shop is open for business and you can stock it full of these gorgeous DIY Wands (see the tutorial here) You’re going to need your wand for this party! (Scroll down to the wand party games). Or rather you could let the wand choose you. Go with a Banquet Dinner. 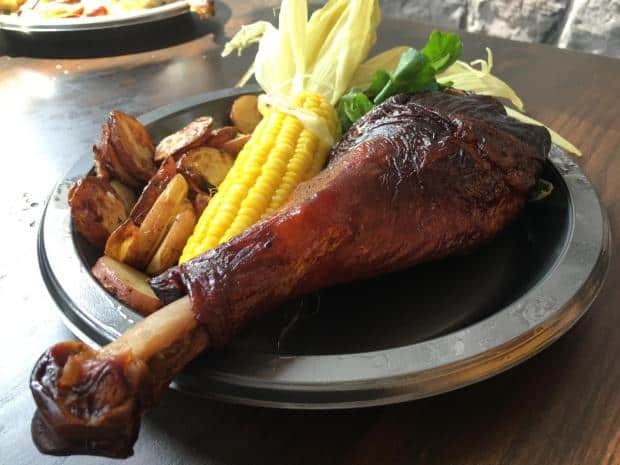 Try something a little different and serve up chicken drumstick, corn and roast potatoes for a banquet inspired party meal just like Harry and his friends in the Great Hall. 2. Get Creative with your Labels. Even the most regular food is transformed once you put it in a jar and label it something a little disgusting. 3. 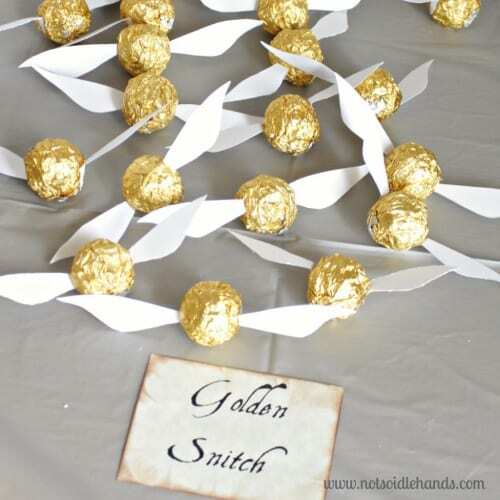 Golden Snitch Chocolate treats. 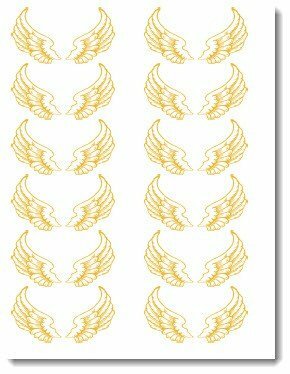 Foil Covered Chocolates with flying wings (download the printable here) make beautiful golden snitches. You can use this printable for the flying keys too. 4. Chocolate Frogs. 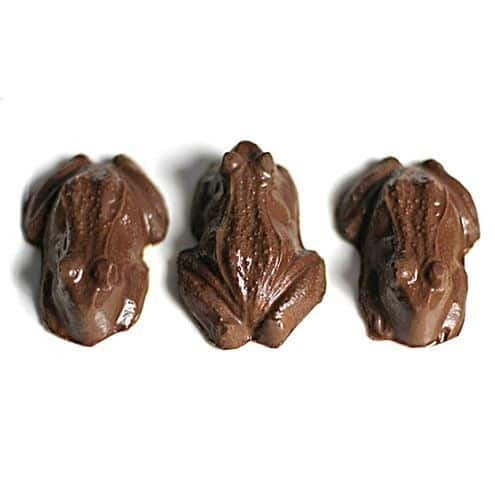 Make your own chocolate frogs with a chocolate mold from Amazon. 5. Mandrake Cupcakes. I really love this idea. 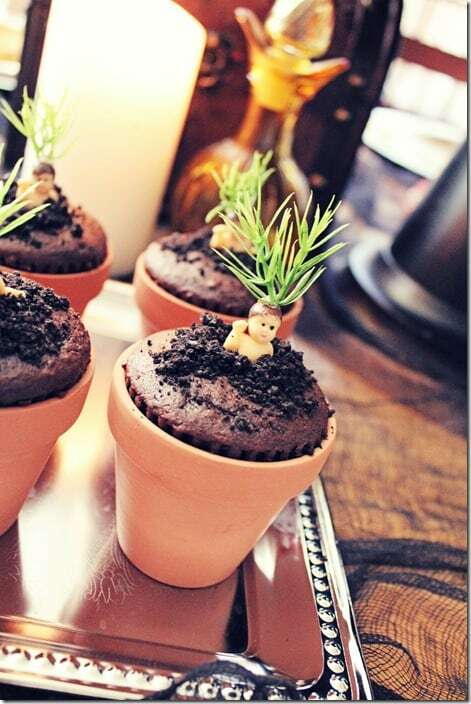 Bake Chocolate cupcakes directly in these mini flower pots and top with a little mandrake to complete the picture. 6. Hogwarts Herbology Tray. 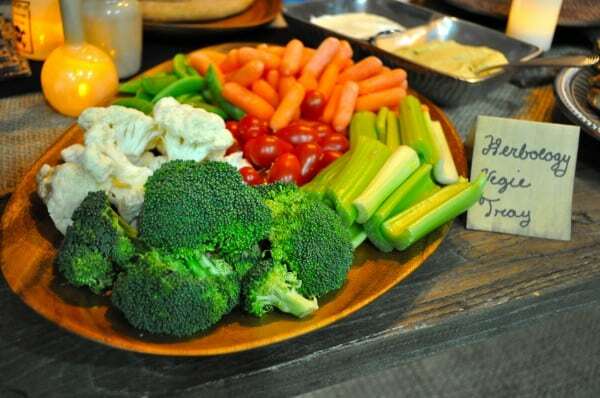 Serve fresh fruit and vegetables with a dip or two. 2. Quidditch Cake. 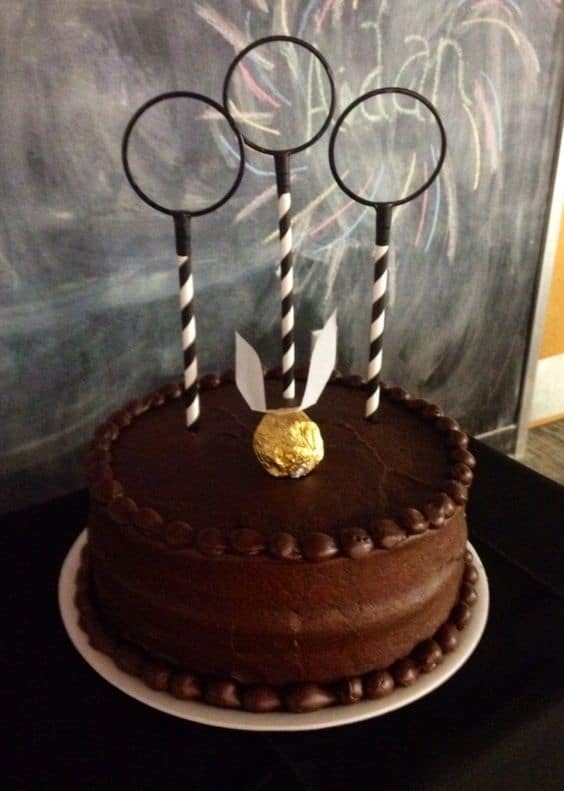 Turn a simple chocolate cake into a Quidditch field. 3. 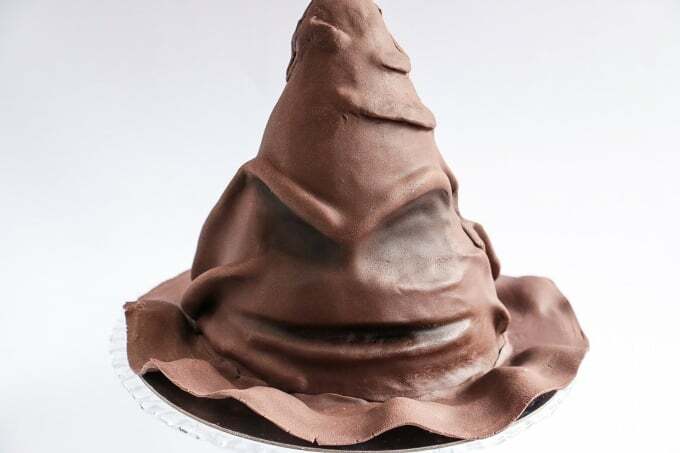 Sorting Hat Birthday Cake. 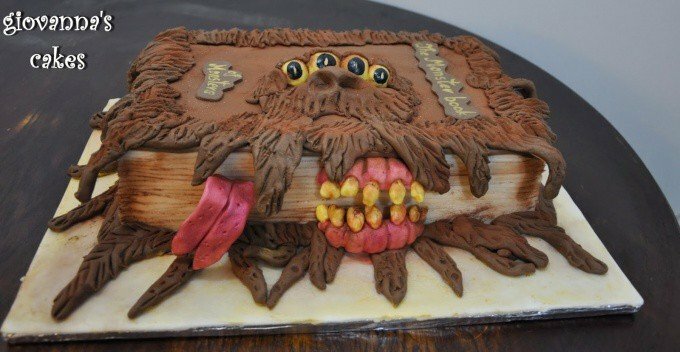 Watch the tutorial on how to make this cake. 4. 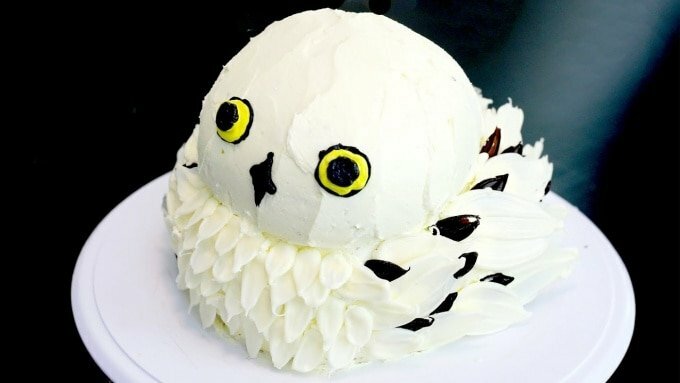 HEDWIG Owl Cake. Watch the tutorial on how to make this cute cake. 5. 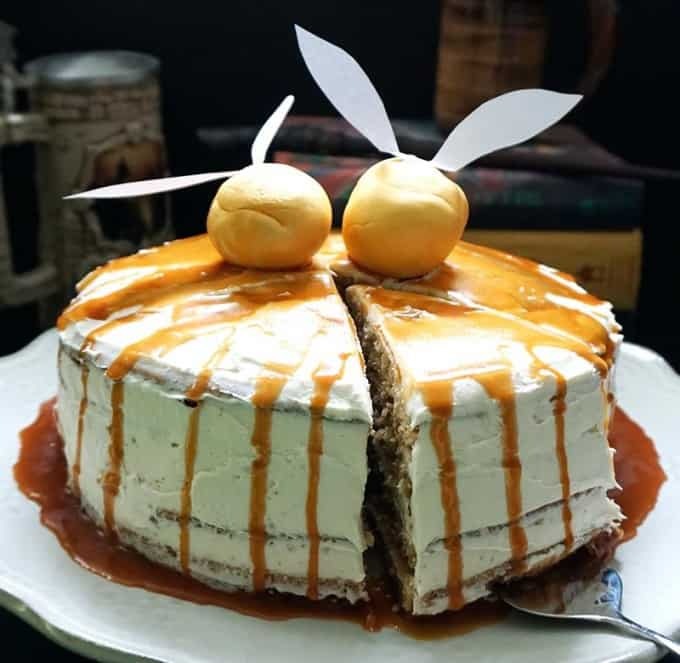 A Delicious Caramel Coated Golden Snitch Cake. This is the best part of any party. Here are 8 magical and fun party games and activities to keep your little wizards and witches busy (for the next two hours at least). 1. Hurry! 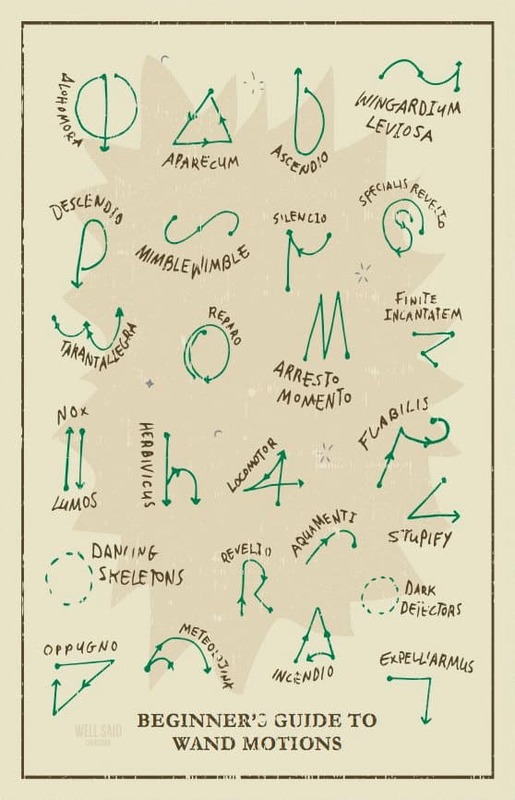 Don’t be late for Wand Class – Got your wand? Head on to your next class: Wand Waving 101. Get the kids moving with this beginners guide to wand movements. 2. Potions Class – The wizard school day is not over yet. Time for a lesson in potion making. Make a MASSIVE Pot of this all natural Two Ingredient Slime and let the kids mix, bottle and label their own magic potions. 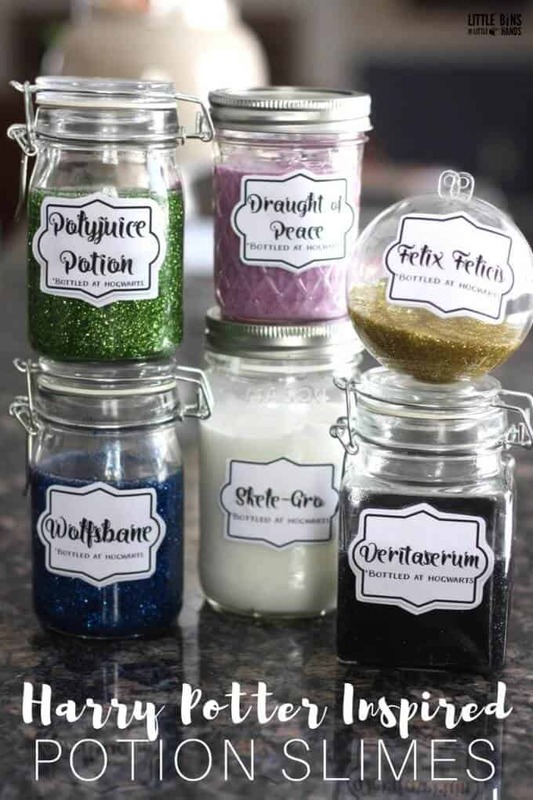 Set up the table with small bottles, colored glitter, food coloring and any other bits and bobs you feel may go down well during a potion making session. Maybe the kids want to gather some leaves or flowers from outside? 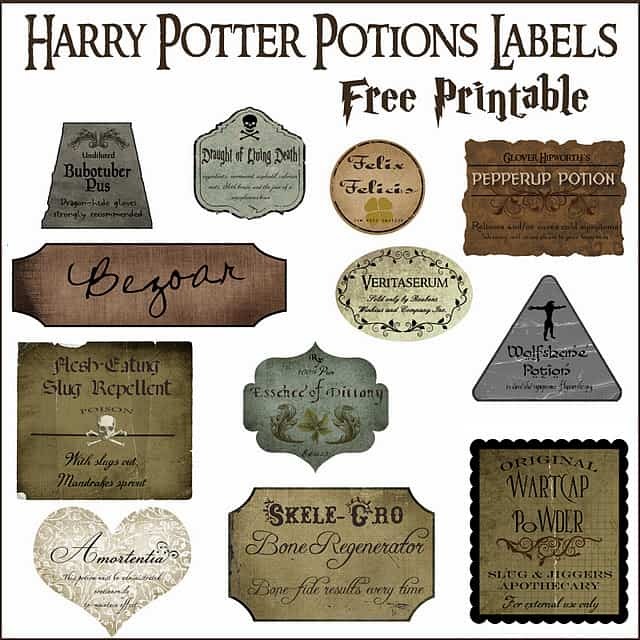 For a magical touch, get a pack of stick blank labels (I like these parchment ones best) and let the kids come up with names for their potions too. For the bigger kids, you can turn this into a more science experiment kind of thing. One Creative Mommy has some great ideas for this. or pop it in Potion Necklace to carry around all day. 3. 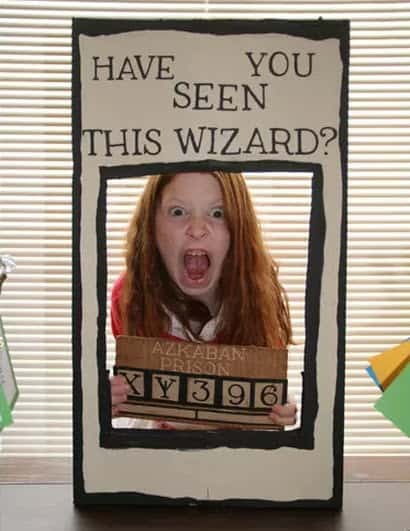 Harry Potter Photo booth – Let your guests do their best Sirius Black impression in this photo booth or make an event of it with this 37 piece Harry Potter Photo Prop set. 4. 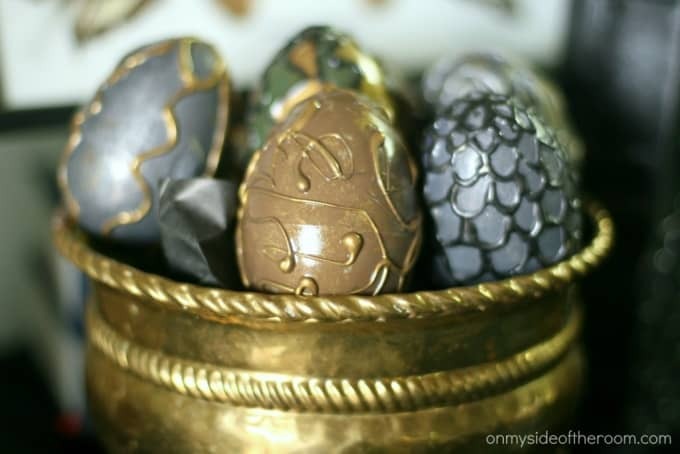 DIY Dragon Eggs – Decorate some plastic eggs with glue from a glue gun, then paint. For an extra thrill, you can pop little baby dragons inside. 7. 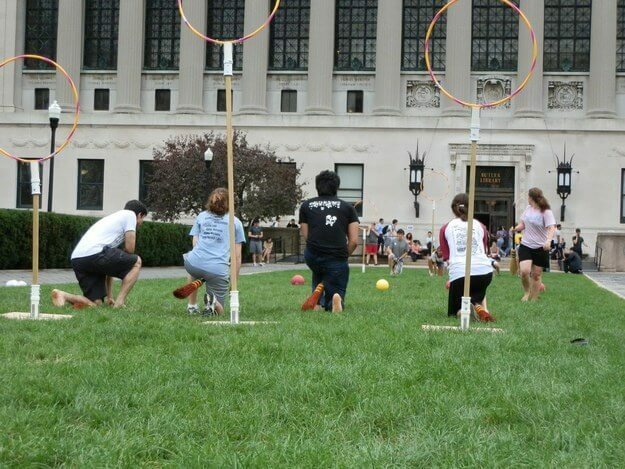 Hula Hoop Quidditch – Pop some hula hoops on sticks and divide the party goers into two teams. Learn the Rules of the game here. 8. Pin the glasses (or scar) on Harry – Always a classic, but more for the smaller kids. This is always a tricky thing and a great way to blow the party budget totally. Putting a party favor together for the end of the party can work out expensive and you end up with a bag full of rubbish. Rather decide on your budget and put together one thing as a party favor. 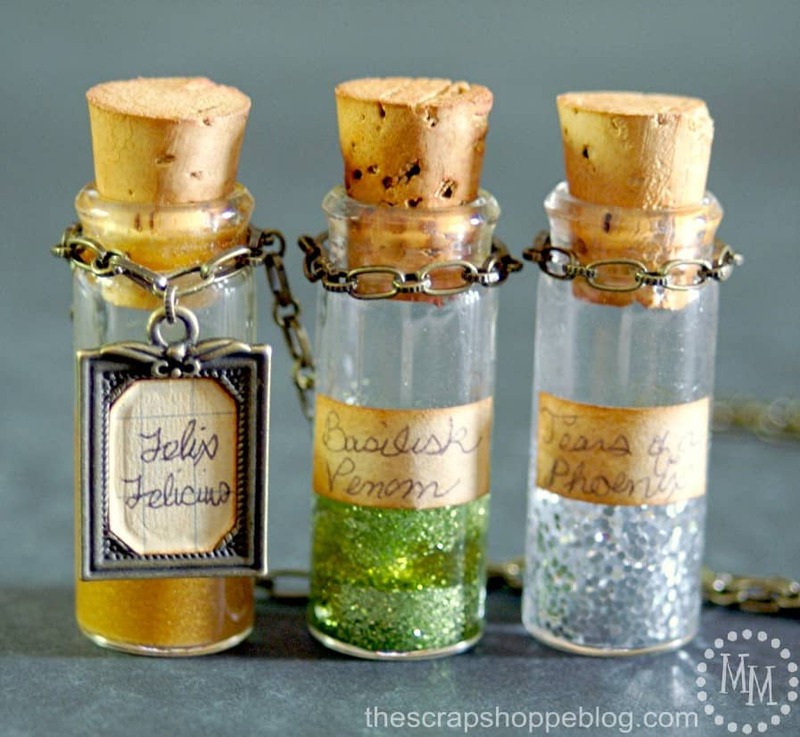 Pick one of these two Harry Potter Party favors that you know your little guests will cherish. These little owls are gorgeous. 2. 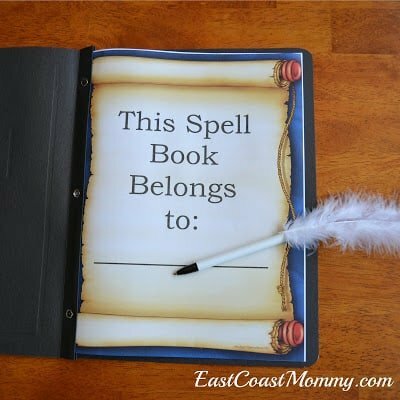 Harry Potter Spell Book and Quill (with Free Printables) – This is a party favor that will keep them busy for hours even after the party ends. 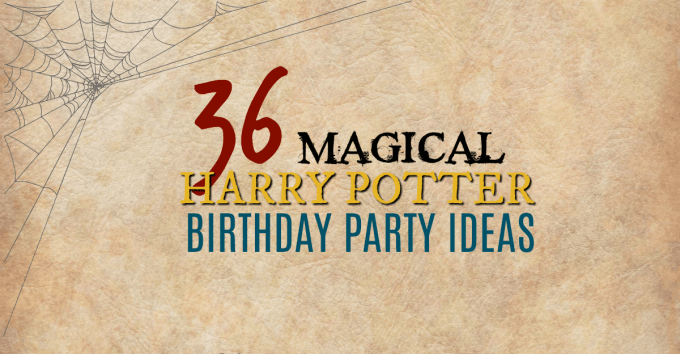 Hope you got a ton of ideas for your next Harry Potter Party. Remember yo have some fun too! And take loads of pictures (with Mom in a few of them too)!